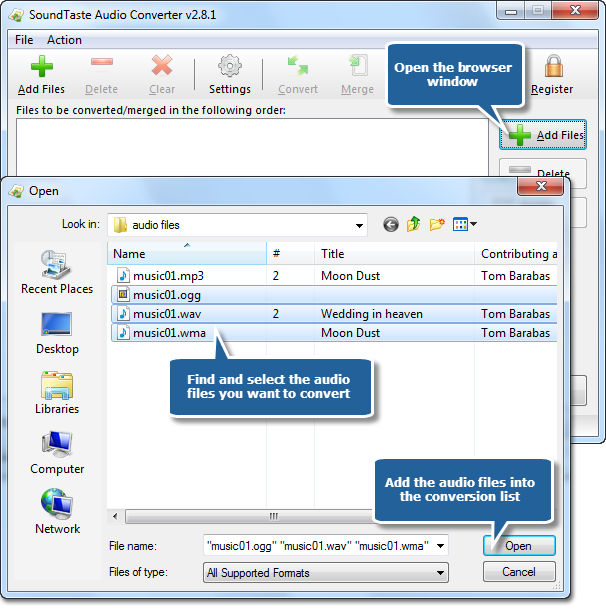 SoundTaste Audio Converter is one of the most stable and comprehensive multi format audio file converters, which allows you to convert audio files between almost any formats (including MP3, WMA, AAC, MP2, WAV, OGG, etc.) directly and on-the-fly without temporary files produced. You can precisely convert many files as the detailed quality settings and popular presets. 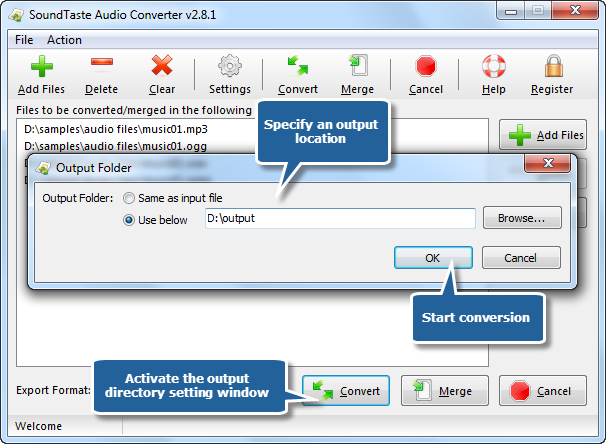 In this post we’ll show you How to Convert Audio with SoundTaste Audio Converter, the best audio converter software. 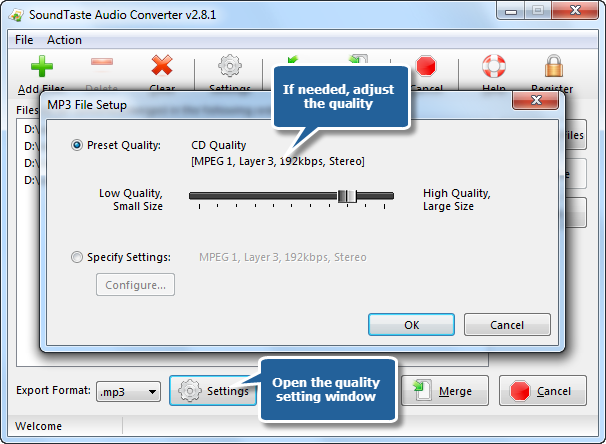 To convert audio, launch SoundTaste Audio Converter first. 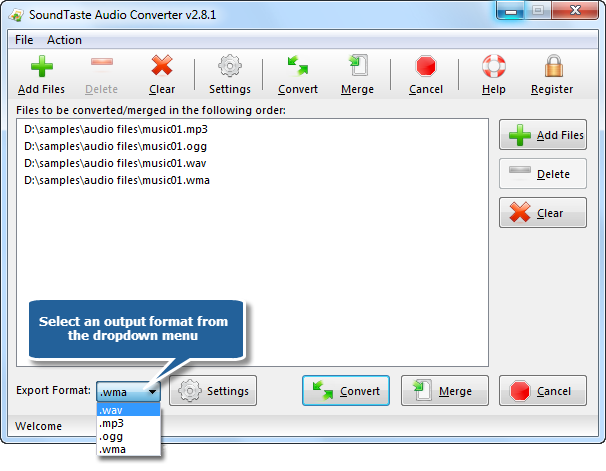 Click “Add Files” to add audio files to the conversion list, or you can drag & drop to add audio files. You can also remove one or all listed files by clicking “Delete” or “Clear”button. You can change the sequence by dragging added audio files to the defined position. Then, click “Convert” and a window is activated, in which you can specify the output directory for the converted files. Then, click “OK” to start conversion.